Arriva fish-tavern restaurant is centrally located in the middle of the picturesque harbor of Lakka at Paxos at a point famous for its magnificent sunset! With over 10 years of experience in the culinary service, Arriva is sure to offer you the most enjoyable meal you could ask for, with the Ionian sea literally on your feet. Hara’s and Thodoris’ family owned business offers every afternoon fresh fish and seafood straight from the Ionian sea, while their specialized on the Mediterranean cuisine Chef will take you to a savory trip to traditional and modern flavors. Early in the morning the restaurant offers different types of breakfast as well as a variety of coffees. Sit at the edge of the harbor right on top of the sea and enjoy their culinary treasures, their always delicious food and the fresh fish. The menu of Arriva Fish-tavern restaurant is mainly based on traditional greek recipes and especially seafood and there is of course, home cooked food as well as various pasta plates and risottos. At Arriva’s, you will find enough choices to satisfy your every appetite. It is the ideal destination for your afternoon or evening outing at Lakka’s harbor, offering to its clients over 25 different appetizers (mezedes) to chose from, to accompany your ouzo or tsipouro for your lunch or dinner. 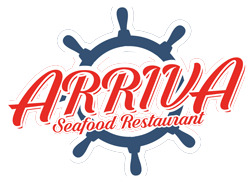 In addition, Arriva fish-tavern restaurant offers free Wi-Fi to its customers so you can stay connected.